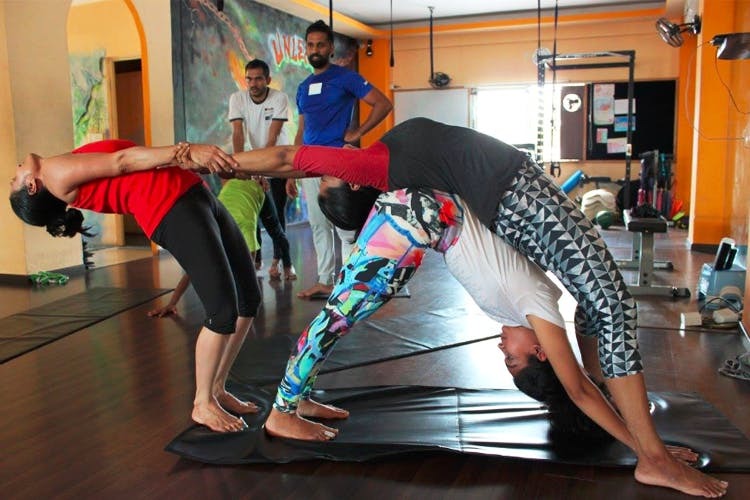 Indian Acro Yoga by Pradeep Mehta at Bandra is the perfect combination of yoga and acrobatics, making it one of the most unique workouts we’ve seen. Indian Acro Yoga is most certainly a one-of-a-kind workout that beautifully brings together yoga and acrobatics. Frankly, in this workout yoga styles are beautifully executed through gymnastics, giving you more strength, power and flexibility. Since this is a partner-based/ group workout, it also inculcates the spirit of teamwork and helps build trust. Interestingly, the teacher Pradeep is the only one currently in India who teaches this otherwise hugely popular form. In fact, he personally also trains a lot of celebrities as well. In our opinion, he’s a very partient teacher who guides you at every step, and since he knows various forms, he is very knowledgeable. We recommend you also ask him to teach you some aerial yoga. For details of the classes, you can check out their Facebook page here. Doesn’t this sound super cool and interesting? This one’s caught our attention for sure.